If the stock price from Facebook continued to decline, then it seems the fate of Yahoo would also be experienced by the largest social networking sites such as this. 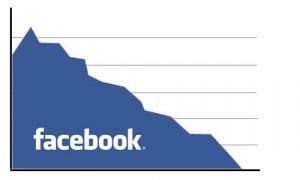 It is said by the founder of Ironfire Capital, Eric Jackson, that in the next 5-8 years, Facebook will also disappear, as happened on Yahoo today. Added that Yahoo is currently still able to earn money and still profit, but the company has 13,000 employees turned out to only 10% when the company has 2,000 employees. He explained that his comments is that because the world is running very fast and increasingly competitive, so that all dominant in previous generations would be difficult to hang on to the next generation. I have read so many posts on the topic of the blogger lovers but this paragraph is really a fastidious piece of writing, keep it up.